In The Horn of Africa Kidane Mengisteab, comprehensively introduces readers to the complex socio-political situation of the region. The book’s title may be somehow confusing for some readers, as traditionally the region consists of Ethiopia, Eritrea, Djibouti and entities that emerged within Somalia. 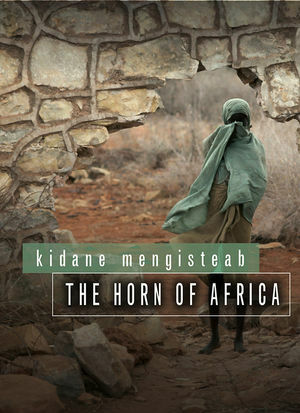 Mengisteab’s book however, covers a wider region – the so-called the Greater Horn of Africa – by adding Sudan, South Sudan, Kenya and Uganda to the previously listed countries. The region is, seemingly, endlessly torn by conflict, prone to number of humanitarian disasters and struggling with economic underdevelopment and comes to the attention of many scholars. But The Horn of Africa is one-of-a-kind book. The author’s intention is to provide a comprehensive analysis of key factors that have created fertile ground for regional conflicts over the past sixty years – post-decolonization – and explore new political and institutional arrangements that could contribute to transforming such factors and relieve the region from perpetual conflict. The book is divided into eight substantive chapters. The first ‘The Greater Horn of Africa: Hot Spot in the Global System,’ serves as a brief introduction and sets out the conceptual framework of the work. In chapters two to seven (‘Conflicts in the Greater Horn,’ ‘The Legacy of Empires,’ ‘The State as a Source of Conflict,’ ‘Failures of Governance and Nation-Building,’ ‘Regional Instability and External Intervention,’ ‘Poor Resource Management and Environmental Degradation’) Mengisteab introduces the reader to the problems the region faces, while providing a solid theoretical background. The last chapter, ‘Prospects for Democracy, Integration and Stability’ closes the book with summary of key points and suggestion for a solution that could improve the conflict-prone situation in the region and alleviate its problems. As conflicts of the Greater Horn are multi-dimensional, Mengisteab attempts to provide overall picture reflecting the topic’s complexity. He defines six categories of conflict-generating factors: first he deals with historical factors, such as state formation in pre-colonial era and colonization, and their legacies. Decentralized state-systems, kingdoms and empires of pre-colonial period left future generations legacy including the culture of cattle raiding, which is one of the major factors of communal conflicts (p.45), conflicting land-ownership, differing modes of production and institutional systems as well as socioeconomic context of fragmented ethnic groups. State-building was not followed by proper nation-building in the Greater Horn region, leaving the doors open for many ethnic, clan and other clashes. Following colonization triggered resistance struggles and wars of liberation and notably left behind improperly created state-boundaries that continue to fuel interstate conflicts in various parts of the region (p.51). Second, Mengisteab focuses on the nature of post-colonial states, and explains how state structures themselves foster socioeconomic problems, and bad leadership. Fragmented institutional systems impeding democracy and peaceful nation-building, the lack of executive branches’ independence (p.75) – which undermines accountability – and poor quality of leadership (and presence of the leaders that divert state into an instrument for preservation of their own power), are defined as factors contributing to (and often creating) conflict-prone conditions. The third cause of instability is poor management of ethnic diversity and issues of nation-building. Mangisteab argues that social, ethnic, religious or clan diversity does not lead to conflict per se, but failure to integrate such diversity into functioning state does. Nation-building, as a process of establishing a community sharing common institutions, requires accommodation of political and economic interests as well as cultural values of all identities within the state. Failure in diversity management and establishment political representation of all identity groups and inability to foster accountability is likely to result in failure of nation-building, which can further implicate various kinds of conflicts as well as for example continued economic crisis and obstacles in the democratization process (pp. 85-110). The fourth category is the absence of effective management of disputes over boundaries. This is closely connected with the lack of effective regional institutions, weak or absent mechanism of peaceful settlements inter-state disputes and intolerance between countries. Another factor is related to the global socioeconomic environment and external actors’ interventions. The author argues that external interventions can play positive role in conflict-reduction or in mitigation of effects of various disasters, but often they rather intensify the conflict, undermine democratic processes and adversely affect both inter- and intra-state relations (pp. 6 and 111-113). He focuses on both military and non-military interventions and provides examples of external interventions during Cold War as well as of Post-Cold War Eras, including War on Terror and piracy. Unfortunately, while discussing current geopolitical interests of the West and mainly Chinese influence in this region that further undermines the Greater Horn state institutions’ accountability by supporting oppressive dictators, Mengisteab somehow fails to mention other important players whose influence has been growing in recent years, such as Turkey, India, and various Arab countries. Finally Mangisteab deals with an issue that still does not receive enough attention in literature on Greater Horn of Africa; environmental degradation. As already seen in the past, environment factors can cause large-scale disasters (re: famines, livestock starvation or malnutrition, but also recurring violent conflicts over the arable or pastoral land). The author discusses both external causes of environmental degradation, such as the global climate change, and internal causes, such as growing number of population, inadequate land policies and development approaches or expansion of commercial farming – all factors that result in socioeconomic disruption of regions’ societies. Mengisteab closes the book with a theoretical chapter dealing with methods for advancing peace in the region. The Greater Horn countries suffer from obstacles that prevent liberal democracy to succeed: dichotomous economic and institutional systems, deformities in state structures and blurring distinction between government and state and the absence of institutions of diversity management (p. 189). Instead of focusing on establishment of the election-centered democracies, the author suggests implementation of a ‘contextualized approach’ (pp. 191-195), which would focus among others on democratic governance that would reconcile the fragmented economic and institutional systems as well as on creation of trustworthy and accountable state structures. He also stresses the need for regional integration scheme that would help to mitigate conflicts by for example developing mechanisms of diversity management or mediation, or promoting regional economic development by intra-region trade (pp. 195-205). A drawback of this final chapter is that despite being saturated with ideas that could help to improve the situation in the region, Mengisteab suggests only generalized solutions without proposing specific changes to particular states’ policies that could serve as a basis for a realistic action-plan. The book fills a gap in the literature, where the complex view of both structural and historical origins of various conflicts in the Greater Horn of Africa was missing. The author, however, sometimes simplifies the causes resulting in today’s socioeconomic situation of the region and does not attempt to cover every single cause in great depth. There are also parts of the book where he does not distinguish between countries. Nevertheless, Mengisteab does a great job in explaining the complicated conflicts in this part of the world and this work comes highly recommended. Dr. Kidane Mengisteab is Professor of African Studies and Political Science at the Pennsylvania State University. His current research focuses on two areas. One deals with the relevance of Africa’s ‘traditional’ institutions of governance, in general and traditional judicial systems in particular, to conflict resolution and institution building in contemporary Africa. The second area deals with socioeconomic implications of the expansion of extractive industries and commercial farming in Africa. He is author or editor of several books on Africa. This book review was originally published at CEJISS’s official website under Open Access Initiative funded by Metropolitan University of Prague, Czech Republic. The Horn of Africa Kidane Mengisteab 978-0745651224 Kateřina Struhová Rating: 8 out of 10 Central European Journal of International and Security Studies (CEJISS), Metropolitan University Prague, Czech Republic.